« A Little Bit of Everything! Yikes…it is November first!!! Have you started your holiday shopping yet? 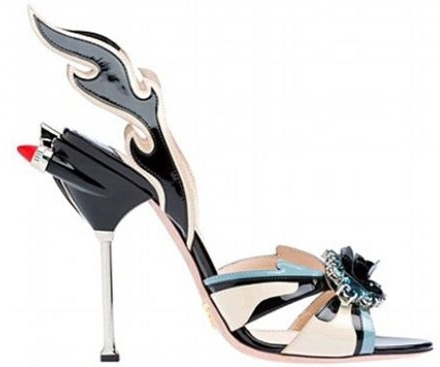 I am certain this pair of sandals from Prada is perfect for someone on your list. Designs like this inspire me to have fun in the studio…RELAX…TAKE THE TIME TO EXPLORE THE FRIVOLOUS NOW AND THEN!! !